As this is a perfect time of year to reflect on all of those things that we are grateful for and that warm our heart, it's also the perfect time of year to express my most heartfelt thanks to all of our orchestra students and parents. What a blessing to have the privilege to work with such wonderful musicians every day, and to have a fantastic group of parents supporting us every step of the way. Warmest wishes for a joyous holiday season and a restful winter break! Monday rehearsal will not be utilized for any class this week. There still remains the possibility that Concert Orchestra and Sinfonia Orchestra may need the Tuesday rehearsal, with the decision dependent upon preparation levels heard in class on Monday. Chamber Orchestra will not have rehearsal on Tuesday. Rehearsals scheduled for next week are tentative at this point. There have been no combined pieces programmed, so the rehearsals will be utilized only if needed due to events such as snow days, lack of preparation, etc. Please continue to keep the time slots on your calendar, but we are hoping they will not be needed, that the weather will cooperate and that students will continue to put forth great effort both outside of class and within the rehearsals during the day to ensure a great concert. Hopefully the decision will be made by Friday. The sign-up for refreshments following the winter concert is now available, and you can click here to volunteer and help us out with some tasty holiday treats. Congratulations to five members of the NCHS Chamber Orchestra who have been selected as some of the top string students in the state!!!! 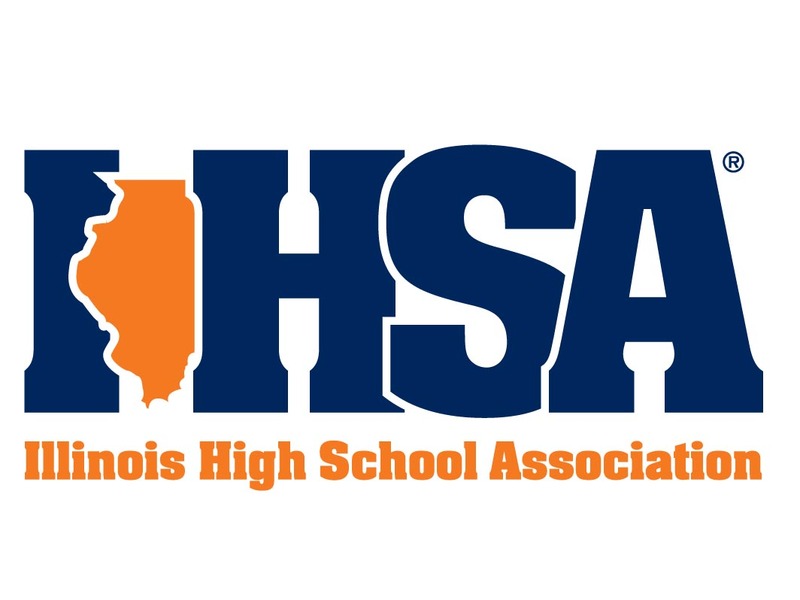 Ethan, Emily, Felicia, Peyton, and Tommy will all be participating in the orchestras at the All-State convention in Peoria at the end of January. Way to represent NCHS!!!! 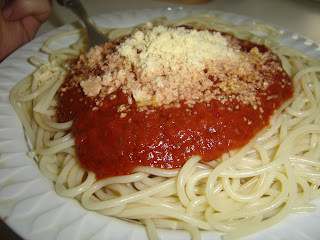 Thanks so much for everyone's help with the Spaghetti Supper Monday night - close to 1600 people were served!!!! The kids were so cooperative, helpful, and flexible; their great performance put the finishing touch on a hectic but successful evening! Just a reminder that the Prep Freeze Cook fundraiser will be Thursday from noon-7 at their facility on Oakland Avenue near the airport. Click here to view the flyer for more information. The orchestra will receive 20% of all sales that day. These are fantastic, (usually) healthy, easy, no-fuss meals that taste great and feed a family of five all for $16. Stock up for the crazy month of December, load your freezer with soups and sides for the winter months, and encourage your friends, family, and co-workers to do the same! Kris Gish and Anne Meysenburg, Hauntcert photographer and videographer, captured some great Hauntcert moments and they are now available through Google Photo. Click here to access the folder that they are stored in. Please use the video for your family's viewing only and do not upload to Youtube, etc. Don't forget our Prep Freeze Cook Fundraiser will take place this Thursday, Nov 17. Fliers are available through your students if you would like to hang some up at work or around the community. More information will also be available at the Spaghetti Supper. Click here to download the flyer. We still have a number of students who have indicated that their family will be eating dinner at the Spaghetti Supper and they have not purchased tickets yet. If you and/or your student are planning to join us for dinner, tickets are $7 each ($11 for the gluten free option) and include spaghetti, bread, salad, a drink, and dessert. In addition to the gluten free option there are options for meat or marinara sauce. ALL TICKETS MUST BE PURCHASED BY FRIDAY NOVEMBER 4th. Only 150 tickets total will be available for purchase at the door that night (for $10 each and will not include any gluten free tickets). We are strongly encouraging any families who anticipate eating that night to purchase their tickets in advance at school before Friday. Students were sent home with an order form on the 28th, you may also click here to download and print the form at home. We still have several slots that we need to fill to work a shift on the night of the Spaghetti Supper. Please click here to sign up to volunteer to work a shift that night. If all of the NCHS Orchestra spots are full and you would like to help out one of the junior high orchestras, I'm sure they would be very appreciative! Looking forward to sharing a night of good food and great music with you and your student!! All students who were selected to perform with the ILMEA District III orchestra must have their forms and food money turned in by FRIDAY NOVEMBER 4th. It is essential for planning the buses that we have documentation a parent will be attending the concert at Olivet Nazarene and that they will be taking their student home. Students also need to include their $6 payment for lunch. Congrats to our 14 ILMEA musicians this year!!!! Deepest thanks for everyone's hard work and contribution to this year's Hauntcert!! Everything went like clockwork and we couldn't have done it without the help of so many people. What a tremendous display of "parent power"!!! All of your help and support was so appreciated these last few weeks! Spaghetti Supper is our next event and will be Monday, November 14th. Our performance will be in the auditorium at NCHS at 5:25 pm. Call time will be 4:45 and dress will be the new orange orchestra t-shirt and jeans. There is no charge to hear the concert. If you and/or your student would like to join us for dinner, tickets are $7 each ($11 for the gluten free option) and include spaghetti, bread, salad, a drink, and dessert. In addition to the gluten free option there are options for meat or marinara sauce. ALL TICKETS MUST BE PURCHASED BY FRIDAY NOVEMBER 4th. Only 150 tickets total will be available for purchase at the door that night (for $10 each and will not include any gluten free tickets). We are strongly encouraging any families who anticipate eating that night to purchase their tickets in advance at school before Friday. Students were sent home with an order form on the 28th, you may also click here to download and print the form at home. We are also in need of some volunteers to work a one-hour shift from 7-8 pm. This time frame ensures you won't have any conflicts with hearing your student play. Please click here to sign up to volunteer to work a shift that night. Hope you can join us for a night of good food and great music!!! Here We Go - Welcome to Hauntcert Week! Please make sure that students are seated no later than 6 and are picked up promptly at 8:30. Although this is a "dress" rehearsal, it simply means the final run through. Casual dress is expected, no uniforms. If you signed up to help with decorations on this night, you might want to bring anything that would be useful (ie scissors, tape, etc.). Please be careful that whatever is used to hang items can be easily removed and won't damage paint. Students should report in full uniform and have instruments out ready to tune at 6:00. Any students staying to help after school are more than welcome to hang out before the show instead of rushing home if they'd like - just bring your uniform and some food. This show packs the auditorium every year. Don't forget to get there early if you'd like a seat! If you volunteered to bring refreshments, please drop off at the refreshment table that night if someone is there to "guard" them, or drop off on the desk in the orchestra room if you are early and no one is at the table yet. We could still use one to two more people to help out with the refreshment table the night of the Hauntcert - if you could help monitor the sugar intake, please add your name to the sign up list. We are still looking to borrow more power strips and extension cords to help set up our electric stand lights. If you have any we could use please send them to school by Tuesday. Thank you so much for all of your help these past two months!! The volunteering for Hauntcert, concessions, etc. has been outstanding and it is truly humbling to have such a fantastic group of devoted parents and students! Thanks again for everything - happy Hauntcert week!!! There are still 9 openings to work the concession stand for Friday night's homecoming game (8 that need to be filled by adults and 1 that a student can fill). Please consider helping us out with this orchestra fundraiser so that we get all spots filled and keep ourselves on the "short list" of organizations with fantastic parent power and continue to be offered these opportunities to help fund our program. Click here to help us fill our concession list. We are also still short on refreshments for the night of the Hauntcert and would love to have some help filling the list. Don't forget that treats must be store bought (no cooking involved!) Please click here to sign up to donate refreshments. Thanks for all that you do to help with the orchestra program at NCHS - we can't do it without you!!! Cookies, Easy Dinners, Hauntcert and Hot Dogs! Sign up lists are now available for Hauntcert refreshments and for volunteers to help work the concession stand at the homecoming game on Friday, Oct 21. Among other supplies, we are in need of 70 dozen cookies to feed the massive audience that always turns out for Hauntcert (don't forget to arrive early that night so you get a seat!). Please click here to sign up for refreshments. The orchestra has also been given the opportunity to earn some money by working the concession stand at the homecoming football game. There were many groups that wanted the chance, but only a few made the final cut - the orchestras and choirs made the list as the athletic department knows that we have fantastic parent volunteers that are hard working and reliable!!! Please click here to help us fill our concession list so that we continue to receive these kinds of opportunities to fund raise for our program. There are various jobs that can be filled by both students and parents. We just received the information about how many volunteers we need and it looks to be about 25 - please help us mobilize this little army as quickly as possible for next Friday!!! Orchestra Hauntcert-related extra credit is now available. We are in need of student volunteers for various activities after school the day of the concert. There is a sign up list posted in the orchestra room that the kids can add their name to. We are also in need of batteries for stand lights (mostly AAA, some AA, and a few C and 9 vlt), power strips, extension cords, and decorations related to our theme of "Heroes and Villains". Batteries obviously won't be returned, but please make sure that you have marked any other items with your name so that we can get them back to you. A reminder to make sure that you have made arrangements for the BEFORE SCHOOL rehearsal on Tuesday, Oct 18 at 7 am. Students with Zero Hour should report to rehearsal and will be be dismissed in enough time to get to class. Our performance time for the Spaghetti Supper on Nov. 14th has just been scheduled and we will be performing at 5:25. Interested in some inexpensive, tasty and EASY dinners to help get you through the busy holiday season?? 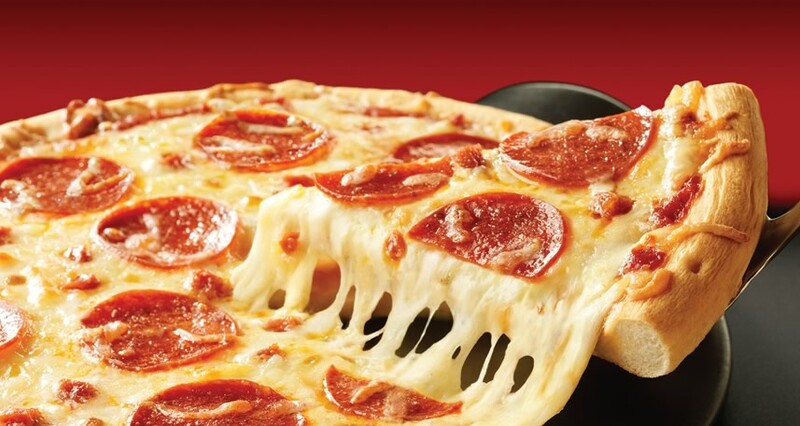 Mark your calendars for November 17th (12-7 pm) for the NCHS Orchestra's Prep Freeze Cook fundraiser. 20% of all purchases made will go to our program. 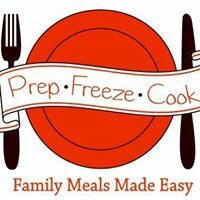 More information to follow, but if you, your friends or family members are Prep Freeze Cook lovers, plan ahead to stock up on that day. And if you're not familiar with the meals, get ready to be wowed with tasty food that is ready to go for the oven or the crock pot (and they now have sides available)! Our next NOPA (NCHS Orchestra Parents Association) meeting will be this Monday, Oct. 3 at 7 pm in the orchestra room. Please consider joining us as we begin to hash through Hauntcert details. Doors J around the back of the building will be open. Next week's combined rehearsal will be on Wednesday (Oct. 5) from 3:30-6:00 pm. Please make sure that students have a ride waiting for them at 6:00 (freshmen may be done a little early). There is no marching band rehearsal, so all students should be picked up in the bus lane following the rehearsal, NOT the main entrance. Students should bring all of their materials with them as they will not be allowed back to their lockers - all of the hallway doors are locked at that time. With the exception of one jacket, all of the men's uniforms have now been distributed. Please ensure that your son now has a jacket, pants, a shirt, and ESPECIALLY a bow tie. Let me know asap if anything is still missing. Women's uniforms are being specially made by the company as they no longer carry those items in stock, and should be in before the concert. Please double check whether or not the uniform needs hemming (it is almost a guarantee that new skirts will need hemming as they usually come extremely long). Shirt and jacket replacement buttons will be sent home next week. All students must provide black dress shoes (no flip flops) and black socks/nylons. We could still use a few more Hauntcert volunteers: one to help video the Hauntcert, one more stage manager, and someone to help coordinate the decorations. If any of these play to your strengths, please consider helping us out. Sign ups will be available soon for Hauntcert cookie donations and for the homecoming game concession stand workers. Thanks for all you do to support our kids and our program!!! If you still have not sent the blog verification email to school with your student, please print off this email (or have them take a picture of it with their phone) and send it with them. We still have a number of Concert Orchestra students who are missing this assignment in addition to a few from the other orchestras. A brief reminder and update regarding the upcoming Hauntcert rehearsal this Tuesday (September 27th). Tuning will begin promptly at 6 pm - students should plan to arrive at school in enough time to have their instrument out and be seated before that time. Rehearsal will end at 8:30 pm and all students need to have a ride waiting in the parking lot so they are able to leave as soon as rehearsal is over. Due to marching band practice in the faculty parking lot, all drop-offs and pick-ups should occur either at the front entrance or around the back of the building at the doors labeled "J" (use the farthest driveway closest to the construction on Raab). No students or parents will be allowed to park in the faculty lot (the one adjacent to the bus lane) as the band uses that area for rehearsal. We still have a several volunteer positions to fill for the Hauntcert. Please consider clicking here and donating a few hours of your time to the orchestra and getting involved in your student's activities! If you have not yet printed off a blog verification email and returned to school, please print off this email or have your student take a picture of it to complete the assignment that was due Fri Sept 23. Welcome back students and parents! We're excited to be kicking off this school year in preparation of the 22nd Annual Hauntcert - "Heroes & Villains". To that end, we still need a number of volunteers to help us with the Hauntcert production and would be so appreciative if you could click here to volunteer a few hours of your time. Right now, we are planning a "parade" of local everyday heroes to recognize toward the end of the concert. Filling the "hero parade coordinator" volunteer spot as soon as possible is one of our top priorities at this point. Please consider helping us coordinate the recognition of some everyday local heroes! 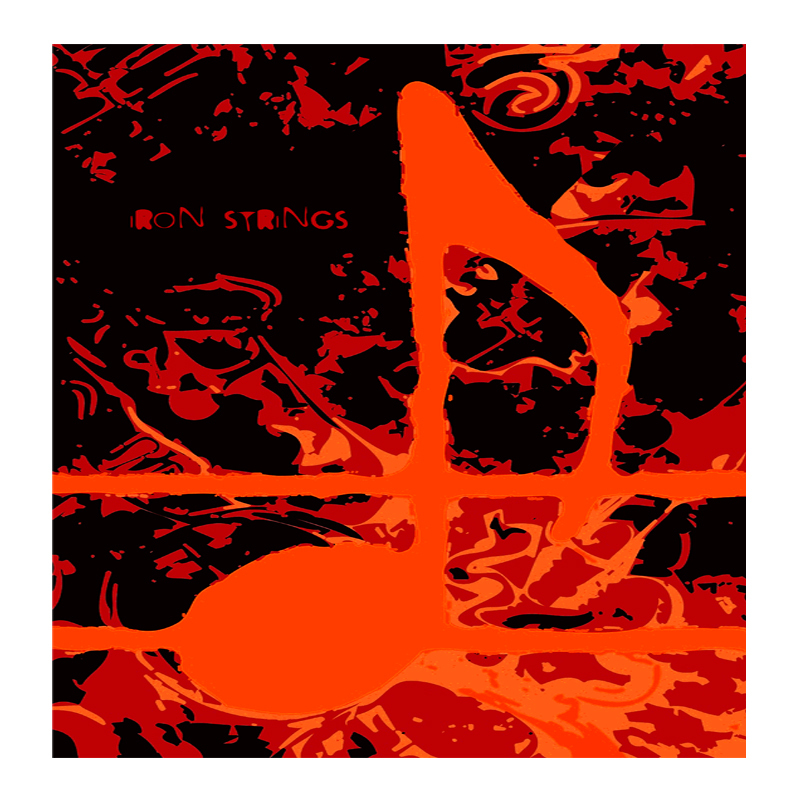 Please click here to view a note from NCHS's Iron Pride organization. They are a group of parents dedicated to connecting parents, faculty, and NCHS administration and working towards providing quality opportunities for our students. They have asked teachers to share this information with parents. Our next NCHS Orchestra Parents (NOPA) meeting will be Monday, Oct 3rd at 7pm in the orchestra room (rm 50). The doors labeled "J" around the back will be open. Please consider putting this date on your calendar as this will be our Hauntcert "nuts & bolts" meeting where we will start creating and bringing plans together for the event. All parents are welcome to attend and we would certainly love to get to know our freshmen parents! Uniforms have now been distributed and new ones ordered. Please make sure your student lets us know if there are any buttons missing from shirts or jackets this week. Replacements will be sent home soon. Parents - as a final part of the email blog subscription process, please print this email out and send to school with your student no later than Friday, Sept. 23. If you or your student prefers, you may also have your student take a picture of the email with their phone and use that as verification of the assignment. Just make sure to include the header with your email address in the picture. You deserve a break from cooking dinner this week!!! Come to the Pizza Ranch Thursday night, April 14th, from 5-8 and get a great meal while supporting our orchestra students!!!! 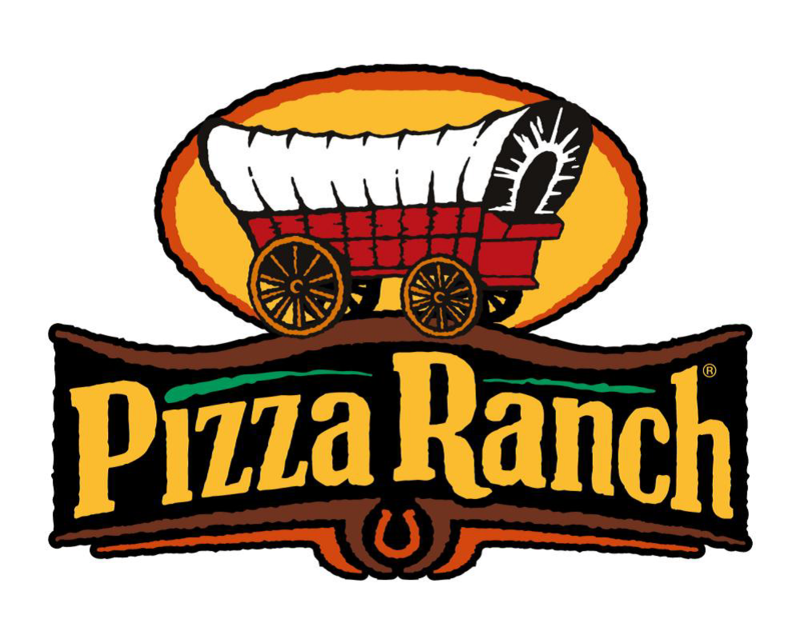 Pizza Ranch will donate a portion of each check in addition to allowing us a "tip jar" for our students busing tables. Hope to see you there! 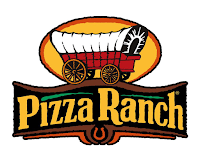 Click on the link below to sign up for the Pizza Ranch fundraiser on Apr 14, 2016. Tuesday and Wednesday only those students participating in the trip should sign up. Thursday and Friday, if there are any open spots left, parents of students participating on the trip may sign up. Next week, any remaining spots may be filled by an NCHS orchestra member. A variety of jobs need to get done, including hanging signs, helping move digital pianos, setting up individual contest rooms, etc. Room monitors - each contest room need a room monitor who remains outside the room, checks performers off as they perform, makes sure the door remains closed and no one enters during a performance, assists the judge as needed, collects all score sheets after the judge finishes so the runners may collect them, etc. Score sheet runners - one runner is assigned to each hallway and is in charge of collecting the score sheets from each room and bringing them to the office. This is one of the most important jobs of the day, as performers get crabby when they have to wait a long time for their scores…. Floaters - these people fill in whatever job is needed that day. They could take the place of workers who need to leave their post to perform, could fill in for people who failed to show up for their assignment, be put to work in the office or cafeteria as needed, etc. Tear down crew - helps tear down individual contest rooms as they finish, setting classroom desks back up, moving digital pianos, resetting the music rooms, moving chairs and stands, etc.